An extra £100 million of funding has been given to local authorities in England to repair potholes caused by the cold winter. The move was announced by the Chancellor George Osborne in the 2011 Budget and is in addition to the £100 million announced by the Department for Transport in February 2011. There are 149 Councils across England and these authorities currently pay out more than £50 million in compensation claims due to poor roads which are estimated to cost British motorists an estimated £320 million every year. The move is some good news for motorists following the announcement in 2010's Emergency Budget that a raft of road projects would be shelved but many are calling for the Government to implement a longer term road maintenance plan for minor and rural roads. A recent survey by Warranty Direct, which looked at 150,000 policies over a three year period, showed that the average repair cost was £312 while individual bills were as high as £4000. Alongside the risk of mechanical failure, motorists could also end up paying out an average of £277 to replace damaged tyres. To make sure that councils are able to make use of this money as soon as possible, the funds will be distributed to English local authorities based on the amount and condition of roads the authority is responsible for rather than councils needing to apply for the funding. The extra funding has been made possible because of savings the Department for Transport made earlier in the financial year. In order to qualify for this extra funding and to promote greater transparency, local authorities will need to publish information on their website by 30 September 2011 showing where this money has been spent. But Warranty Direct, which runs the campaign site potholes.co.uk says that the cash injection alone cannot solve the problem of Britain’s roads. “Motorists will appreciate this extra support as it will mean less cars get damaged. It’s another signal that the Government, which is simply dealing with the financial disaster left by the previous administration, is recognising the need to support motorists, but the focus needs to be on local and minor roads," says Warranty Direct managing director, Duncan McClure Fisher. “It’s not a solution to the problem – piecemeal cash injections won’t do the trick – but at least it’s a step in the right direction. This needs to be the springboard from which the Government establishes a five or 10-year plan to revitalise Britain’s ‘Third World’ local road network," he adds. 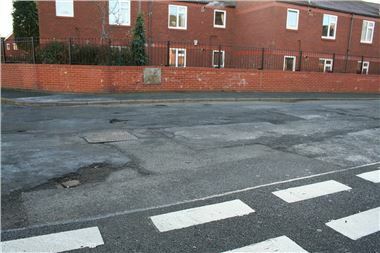 potholes.co.uk is running a campaign to name and shame the UK’s Worst Road – nominations for the most potholed highway can be made here.